The Men's Room What ingredients does your skin really need? What ingredients does your skin really need? Face	2 Comments on What ingredients does your skin really need? 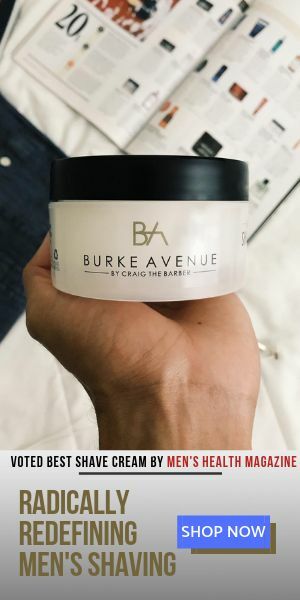 There are hundreds of grooming products on the market that work on getting ALL of your attention by promising the world in a bottle… Hey trust me, I get just as confused as the next guy! And since your emails tell me that you share the same feeling, I thought I would help you comb through the landscape a bit easier. Here are 3 key ingredients to focus on when it comes to refilling and re-tooling your grooming kits. Peptides – are found in all of your cells and are made up of two or more amino acids attached together with peptide bonds. They’re similar to proteins, but smaller. Products that include peptides help with healing the skin and increasing collagen production. In order for them to work, they must be included in a formula that effectively penetrates the skin. Retinol – is derived from vitamin A and is included in skin-care products as an exfoliant that sloughs away dead skin cells and also can fight acne and reduce signs of sun damage. In prescription strength, you’ll be given retinoids. The over-the-counter ingredient is retinol. Both will make your skin more sensitive to the sun, so be sure to pair it with a good sunscreen. Hyaluronic acid – is available in supplements, topical creams or through injectable fillers. It helps to bind moisture in the skin, which is important as the skin ages and loses hydration (it also plays a key role in joint lubrication). Hyaluronic acid occurs naturally in the skin, but production of it diminishes over time and adding it to your skin care routine is believed to help the skin to remain supple and appear youthful. Supplements are available in 20 mg, 50 mg or 100 mg increments, and are generally considered safe. There you have it, and I hope it helps! Craig this is great, but I think it would be even more helpful if you could list some of the products that contain those ingredients. Great point Brendan! I’ve recently added 3 suggestions to each category, so take a look. And, thank you for the comment!